Foreclosure is a nationwide epidemic that crosses color lines, socio-economic status and affects all communities. Often, when it comes to the foreclosure discourse, it is a common misconception that homeowners are solely affected; however, according to a report by the National Low Income Housing Coalition, renters make up close to half of foreclosure cases on a national level. This crisis is one that destroys communities and doesn’t discriminate between renters and homeowners. The Metropolitan Tenants Organization (MTO) is at the forefront of addressing this housing crisis. Currently, MTO works in the East Garfield Park area with a focus on tenants who live in buildings that are going through the foreclosure process. Our primary goal is to inform tenants of their rights and responsibilities concerning the foreclosure process. In addition, MTO is part of a citywide Foreclosure Convening Committee that strives to shape public policy that will alleviate the negative affects of foreclosure on our communities. On July 28th, the Chicago City Council unanimously passed an amendment to the Vacant Property Ordinance. For the past year, the Foreclosure Convening Committee has stressed the importance of holding banks accountable for maintaining properties in the foreclosure process. This amendment, supported by Mayor Rahm Emanuel, holds banks responsible to preserve and maintain these vacant properties. This is a huge victory and something communities throughout Chicago should celebrate. As the Mayor mentioned after the vote, “Now the real work begins, and conversations with the banks must start.” This statement is encouraging because it hints at the most important next step – enforcement. Enforcing the Vacant Property Ordinance is vital to the sustainability of our neighborhoods throughout Chicago. According to a study by the Homeownership Preservation Foundation, each vacant property costs taxpayers between $19,000 and $34,000 in security and maintenance expenses. Taxpayers can no longer foot the bill, and our city can no longer shoulder the socio-economic burden of vacant properties. On July 20th MTO tenant leader, Ms. Patricia Hightower, gave impassioned testimony at a City Council Committee hearing on the Vacant Property Ordinance. Her testimony provided a clear perspective of how vacant properties affect her neighborhood. Click here to read her testimony. Click here to read the Vacant Property Ordinance. Good morning, my name is Ms. Patricia Hightower. I am a resident of Chicago, Illinois, and I live in a senior building on the southeast side of Chicago. I am also a member of the Metropolitan Tenants Organization. I am very concerned about the number of vacant properties that are in our neighborhoods. These properties are not only eyesores but are emotionally disturbing to citizens who are already overwhelmed with the high cost of living, crime, utility and medical bills. In addition to being an eyesore, these properties are a breeding ground for drugs, gangs, illegal activities and prostitution. Hard working law-abiding citizens should not have to walk by vacant properties occupied by gangs. These are the same gangs that use vacant properties to stash their drugs and run illegal activity. 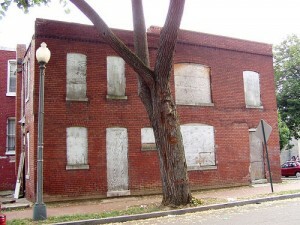 Oftentimes, the vacant properties I see in my community are not maintained. The grass is not cut, garbage is everywhere, mice and rats roam freely and drug paraphernalia is visible. The Vacant Property Ordinance Bill is significant because it gives concerned citizens the ability to hold banks accountable when they can’t find the owner of properties that are not maintained properly. As a concerned citizen, I value my community and feel strongly that vacant properties devalue the economics and social fabric of my community. I strongly urge the committee to pass the Vacant Property Ordinance and demonstrate to the citizens of Chicago that they value all communities. I would like to thank the committee’s for allowing me to express my concerns and views on vacant properties and their affect on my community. I am encouraged that we are headed in the right direction to change this epidemic that plagues too many communities. On July 28th, families, disabled citizens, and the elderly throughout Chicago celebrated the unanimous passage of a City Council Resolution authored by tenants, organizers, and allies with the Chicago Housing Initiative (CHI) opposing any cuts to the Department of Housing and Urban Development (HUD). Led by Alderman Suarez, Chairman of the Committee on Housing and Real Estate, forty-seven aldermen signed on to the Resolution, which urged IL Senators Durbin and Kirk to preserve desperately needed HUD funding for Chicago and the nation. In recent years, Congress has cut HUD funding to dangerously low levels and, this year, is threatening once again to decimate programs that help those most in need. In Chicago alone, HUD funding provides more than $250 million in Public Housing Capital and Operating dollars and helps to house an estimated 185,562 low-income families and seniors. Additionally, HUD’s Community Development Block Grant (CDBG) and HOME programs provide an enormous range of affordable housing, economic development, and social service programs for the residents of Chicago. In fact, a number of wards in Chicago benefit from over $1 million in CDBG funding. These services help Chicagoans avoid foreclosure, hunger, and homelessness. 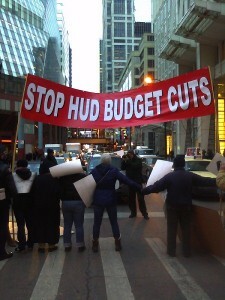 In these difficult economic times, Chicagoans simply can’t risk losing any more of the services HUD funds. Amid the muffled chaos of a thousand people looking for their seats, I heard “What does affordable housing mean to you? The mock-interview question was posed to me by a friend working for the union “Unite Here.” At the Chicago People’s City Council Meeting, activists from a dozen community organizations met to form a crowd 1,400 strong, whose animation made it clear that the issues discussed, like affordable housing, were of deep importance. I realized I didn’t have a great answer. “Access to a home and other basic needs?” The event was formatted as a “debate” between ‘Mr. Moneybags’ (an organizer transformed by a comical top hat) and a series of activists, each personally affected by the problems they discussed. After each exchange the crowd “voted” (by standing/applauding) in favor of proposals offered by one or another of the interlocutors. These proposals tackled insufficient public funding for education, disappearing jobs, deteriorating working conditions, home foreclosure, and of course, affordable housing. It was argued that the backdrop shared by all these issues is their source in massive proposed budget cuts to a range of local public services. These cuts appeared particularly perverse when juxtaposed with the millions Chicago government recently gave to large corporations and banks in the form of tax breaks or Tax Increment Financing (TIF) funding. Each activist on the platform spoke about the problem at hand, how it affected them, and how it could be traced to irresponsible distribution of government funds. A teacher spoke about how she had more than 30 students in her elementary school classroom. A public employee argued for the importance of his job in the Parks department, but discussed how that sector was shrinking dramatically. Others talked about rising costs of government subsidized housing, foreclosure experiences, and the tightening of government programs like food stamps. The format was meant to be humorous, but the stories the audience heard were sobering and serious, and were as eloquent a call to action as any I’ve heard. After the event, I had a much better answer. 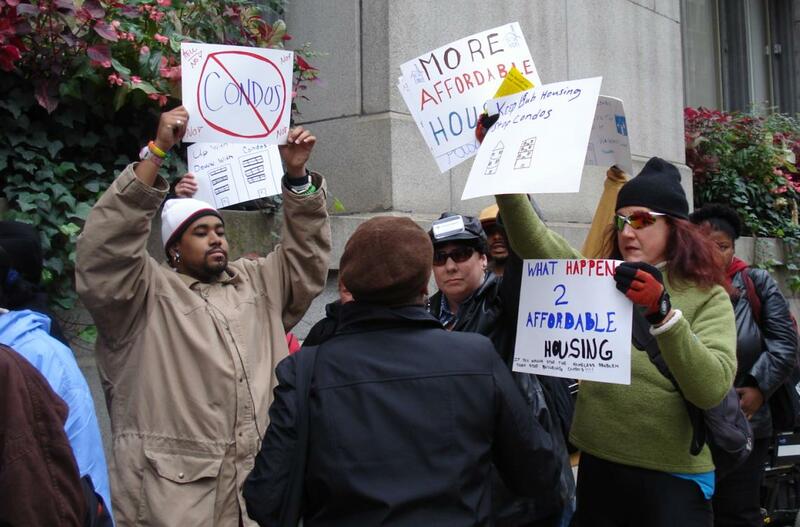 True affordable housing means housing that does not come at a crippling cost to the individual or society. We can’t afford housing if it comes at the expense of good schools, good jobs, or a fair justice system. We can’t afford those decisions, and we should not have to make them. The meeting concluded with the unveiling of the People’s Resolution, a summary of frustrations and a commitment to working families, public services, and responsible government. Each of the 19 aldermen present signed the resolution and spoke out in support. In addition to these outcomes, the event provided momentum to coalitions organizing around fair federal budgeting, and testified to the effectiveness of organizational collaboration. 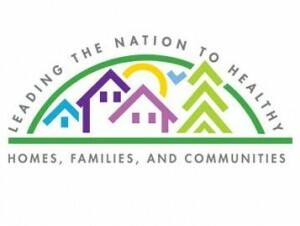 I just returned from the National Healthy Homes Conference as well as the Green and Healthy Homes Initiative meeting in Denver. The meetings reaffirm MTO’s commitment to involve ourselves and help shape the agenda of this growing movement. Some of the thoughts that I took away from the meeting are as follows. This movement calls upon us to think differently and to look at the broader picture. It challenges organizations and governmental agencies to get out of their silos and to become “yes we can” facilitators. For instance, one agency described a scenario where a home owner had dangerous lead hazards in their home. The house also had a leaky roof. Because of funding restrictions, the agency had to tell the resident that before the lead hazard could be abated the roof needed to be fixed. 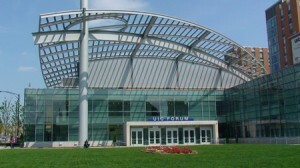 Under a green and healthy approach, an agency would look to use green and energy efficiency resources to repair the roof and simultaneously abate the lead. A contractor would be resolving several issues at one time. This is efficient and in the long run, saves money. Another part of looking at the broader picture means collaborating with other groups. Collaborations allow agencies to bring together specialized skills and focus on solving larger problems. Strong partnerships build connections between issues, increase resources, and create a vision for solving the nation’s larger housing problems. A few statistics demonstrate the need for a Healthy Homes approach. According the World Health Organization two-thirds of all deaths are caused by non-communicable diseases and 25% can be addressed environmentally. The other important fact is that between 18% and 30 % of green house gases are the result of residential housing. Making our homes greener can have a huge impact on the environment. The biggest challenge facing us in this effort is financing. In its budget cutting craze, the federal government is looking to cut its investments in healthy homes. Conference participants suggested looking to Medicaid and insurance companies for financing because if we can prevent these home based illnesses in the long run it will create huge cost savings for these institutions. Most everyone agreed that in the end, the federal government must take a leading role in financing these changes. Finally, for me the biggest reason to support a green and healthy homes framework is that it promotes health equity. Promoting wellness is far more cost effective that treating illness. If we look at who is living in housing which is poorly maintained, in bad neighborhoods that often contain health hazards, we will see it is low-come families, often times families of color. It is the same population which disproportionately suffers from such environmentally related health issues such as lead poisoning and asthma. By making our homes greener and healthier, we will improve everyone’s health and thus in the end it will raise the quality of life for everyone. On Thursday, June 23rd, please join the Metropolitan Tenants Organization at a rally supporting a YMCA senior, disabled resident, Alonzo Carter. Alonzo is a member of the Emil Jones Tenant Council in a property owned and managed by the YMCA. The YMCA’s Emil Jones building is a senior complex located at 19 E. 110th Place. The YMCA filed an eviction case against Alonzo in housing court for non-compliance for bed bug extermination – a strenuous process involving heavy lifting, moving of large furniture, etc, which is often too arduous for elderly and disabled residents to do without assistance. In an effort to comply with the bed bug extermination of his unit, Alonzo threw out some of his furniture. The property managers instructed the building maintenance team to remove some of his furnishings, which according to bed bug experts, is illegal and typically not necessary. The disabled tenant was also required to do some heavy lifting of furniture. Although there was an infestation in multiple units and many tenants were unable to fully comply with with the preparation process, the only 2 eviction cases filed were against members of the tenant council. At a jury trial that took place on April 20, 2011, he was found guilty. are filing a motion for Judge Leonard Murray to overturn the eviction. Bed bugs have become a common nuisance in the City of Chicago and renters should be aware of potential illegal landlord retaliation. Chicago is fifth in the nation in terms of severity of bed bug epidemics. 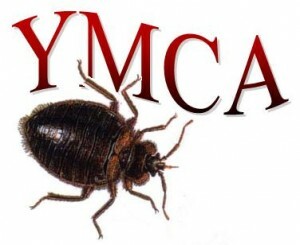 Come join us and demand that the YMCA drop this case and learn about your renter’s rights regarding bedbugs. 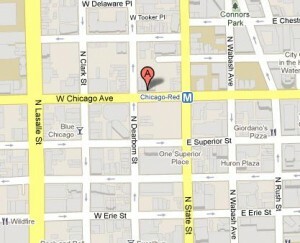 Address: 30 West Chicago Ave.
Just of the Chicago stop on the Red Line. This event is being sponsored by the Metropolitan Tenants Organization’s Community Congress of Tenants. If you need further information please contact Robert Clack, 773.292.4980 ext. 242. It’s time for MTO’s 24th Annual Bowl-a-Thon! Why should you come bowl with MTO on Saturday, August 23rd? Once you’re on a team, you get a packet and start collecting pledges. All pledges to the Metropolitan Tenants Organization are tax-deductible. Your supporters can make a flat pledge, or they can pledge a certain amount per pin that you knock down. Each team will play three games, so if you score 100 points in each game, and your friend Joe pledged you $0.05 per pin, your friend Joe contributed $15. Collecting pledges is helpful because as long as you get at least $75 worth of pledges, you can bowl (and win prizes) for free! 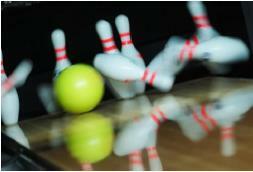 To bowl in the MTO Bowl-a-Thon, call or email Clarissa today at 773.292.4980 x 222 or clarissa@tenants-rights.org. You must be registered to bowl. 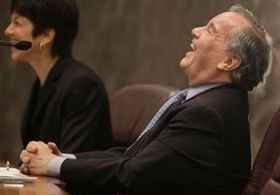 With Mayor Daley overseeing his final Chicago City Council meeting, the aldermen unanimously passed a condo conversion ordinance. The ordinance represents five years of struggle on the part of tenants, condominium buyers, community organizations and advocates. This legislation will protect tenants and condominium buyers caught in the instability created by the conversion of rental buildings to condominium buildings. Changing the notification period from 120 days to 180 days. For seniors and those with disabilities, notification would change from 180 to 210 days. Low and moderate income renters receive relocation assistance. The assistance equals the larger of one month’s rent or $1,500 (up to a maximum of $2,500). Consumer protections for condo buyers. According to Zakiyyah S. Muhammad, a victim of condo conversion, “I enjoyed fighting for protections for families who rent so that they can avoid the devastation that I encountered. This ordinance has been a long time coming; when you fight you win!” MTO celebrates the victory for tenants’ rights and the clear demonstration that tenants, working together, have the power to create change to protect their rights to safe, decent and affordable rental housing. In another victory for affordable housing advocates, the City Council passed the Sweet Home Chicago Ordinance which allows TIF funds to be used for maintaining affordable housing. The full text of the Condo Conversion Ordinance can be found here. On Tuesday, April 19th, the Mayor’s Condo Conversion Task Force met to discuss proposed changes to their report in the latest episode in the now five-year long battle for an ordinance to protect renters and condo buyers during condo conversions. The Task Force is proposing to change the notification period from 120 days to 180 days. For seniors and those people with disabilities, notification would change from 180 to 210 days. The Task Force also recommends that low and moderate income renters receive relocation assistance. The assistance equals the larger of one month’s rent or $1,500 up to a maximum of $2,500. City officials are still discussing how they will identify renters who qualify for this assistance. The bill has been close to passing before and we are hopeful it will pass on Mayor Daley’s final City Council meeting. Significant progress has been made; however, there are still obstacles ahead. The next hurdle to clear is for the Housing Committee of the City Council to approve the bill. The Housing Committee’s meeting is scheduled for Tuesday, May 3rd, at 10:30am in room 200. MTO is encouraging all renters who have experienced displacement due to condo conversion to attend and testify. MTO has been working on condo conversion since 2006. In 2006, renters marched through the Hyde Park neighborhood demanding justice for those being displaced by rampant condo conversion. In response, the Mayor convened the Condo Conversion Task Force; however, it failed to meet for a year. Following another demonstration led by MTO, this time at City Hall, the Committee held its first meeting. MTO was able to win a seat for a renter on the committee and has continued to monitor its work. While there have been many ups and downs, a hopeful conclusion to years of struggle is close at hand. All those interested in attending the meeting of the Housing Committee on May 3rd to testify about their experiences should contact Shirley Johnson at 773.292.4980 ext. 224.